Should You Reduce The Size Of Your Bedroom? Home Lifestyle Should You Reduce The Size Of Your Bedroom? For many people, the idea of reducing the size of their bedroom will seem outright bizarre. Common thought dictates that our bedroom is where we retreat to when we need a break from the world; a place of restfulness and rejuvenation. Why would you want to reduce the size of such a space? 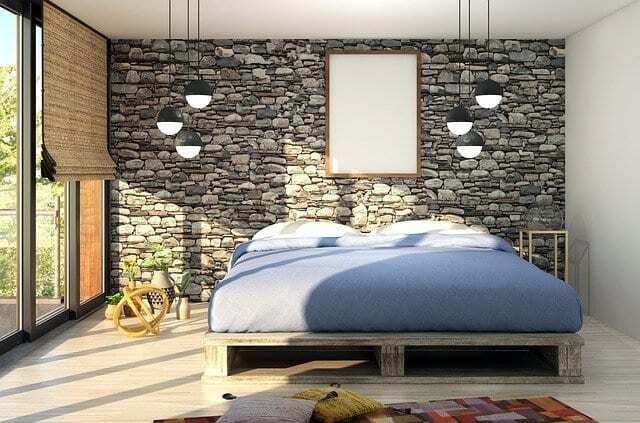 The oddness of the concept is further compounded by the fact that you, like most people, will likely have gone to great lengths to ensure that your bedroom is as pleasant as it can possibly be. You may have carefully chosen your furniture set so it perfectly matches; you’ve carefully researched color theory to ensure that the space is as calming as it can be; you wouldn’t dream of buying a new mattress without reading reviews from Mattress-Guides.net first; and you do all you can to ensure the space is well-organized and free of clutter. Both the aesthetics and the functionality of your bedroom matter to you – so why would you want to reduce its size? The first reason it may be worth considering reducing the size of your bedroom is the extra functionality you may be able to introduce. The most common choice in this regard would be to install an en suite shower room or a walk-in closet. Newly installing these features means that the overall size of your bedroom itself will be reduced, but you’ll actually gain in terms of practicality or convenience. Above, we touched on the fact that bedrooms should ideally be free of clutter – and this is a point worth keeping in mind when contemplating a reduction of bedroom size. Most of us find it difficult to relax in a room that is messy; as PsychologyToday.com explain, the more mess there is a room, the higher your stress levels will be. As the bedroom is the room where relaxation is a top priority, increased stress due to clutter is far from ideal. While it may sound strange, having more space can actually lead to more clutter. The more space you have, the more likely you are to seek to fill it – especially given that vast expanses of space can make a room look oddly unfinished. By only having a small bedroom area, you will have to be ruthless when it comes to managing what is – and more importantly, isn’t – allowed a place in the room. If you do choose to reduce the size of your bedroom, you will inevitably need to make a few changes – but these will usually be positive. It is important to remember that, realistically, a bedroom is a place to sleep; as sleep is vital for so many aspects of health, a smaller space can help reinforce this purpose without risk of distraction. All too often, modern bedrooms become less of a sanctuary and more of a place where you store items that don’t quite fit anywhere else in the house. With a smaller space, this isn’t possible – and you’ll be able to gain extra functionality, via an en suite or walk-in closet, that can greatly enhance your lifestyle. home improvementShould You Reduce The Size Of Your Bedroom?